Wi-Ex zBoost YX540 Metro for your Condo, Loft or Apartment At Incredible Savings! Weak cellular reception in your apartment or condo? No easy way to put an antenna on the roof? This amazing device works by attaching an external antenna to the inside of a window or glass door and a cable leading from this panel antenna connects to the YX540 Metro base unit which then amplifies the weak signal and re-broadcasts it to your cell phone. 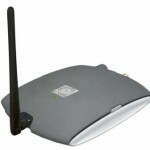 The range of this cellular repeater is exceptional and will allow multiple cellular phones and broadband data devices (aircards) to receive this amplified signal. By boosting the broadband signal, your data upload and download speed will improve as well. It will work with Sierra, Novatel, MiFi and many other devices. Repeaterstore has reduced the original price by $50.00 and as an added benefit, Wi-Ex is offering a $50.00 manufacturers mail in rebate through Saturday, November 20th. It's time you had â€˜no more dropped calls or missed emails when you purchase a Wi-Ex zBoost YX540 Metro during this fantastic savings event going on right now!